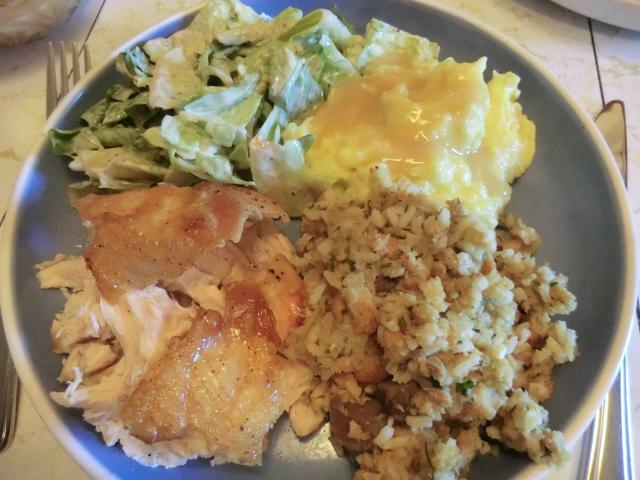 Happy Thanksgiving, 2015 | Cooking is Fun … Really!! 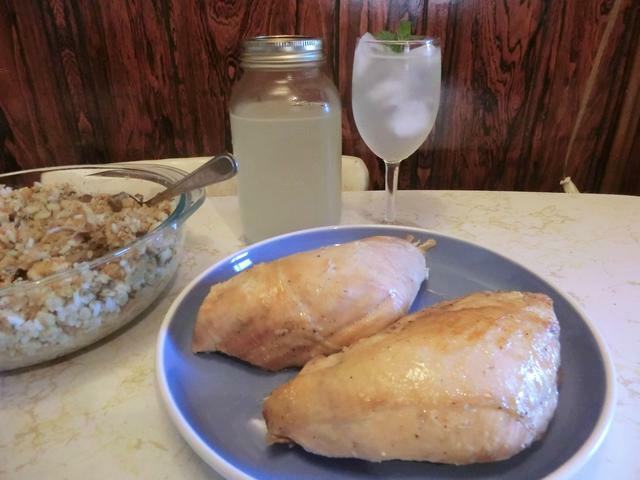 I had an inexpensive turkey in my freezer … too ratty to ever present to company, if I had had plans for any, because it was missing most of the skin over the breast. However it was perfect for making a bunch of tasty goodies. Some were eaten immediately but most were wrapped up and frozen away for the future. A lot of good meals starting with a $10 turkey. I jointed my defrosted turkey. Here are some of the parts in a large enamel bowl from my mom’s hoard. Supper was breast meat trimmed from the carcass, mashed potatoes and gravy from the drippings, giblet and rice stuffing with the help of a couple of boxes of Stove Top stuffing. And a bit of salad. 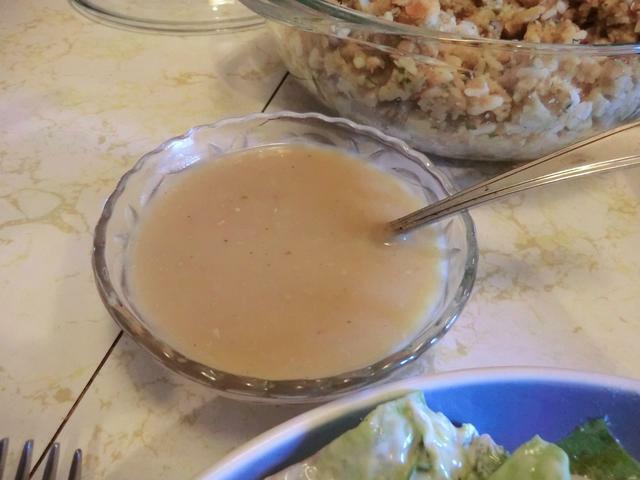 Turkey gravy … SO good. The two turkey breasts ready to be sliced and wrapped away in the freezer. A jar of mint lemonade in the background. 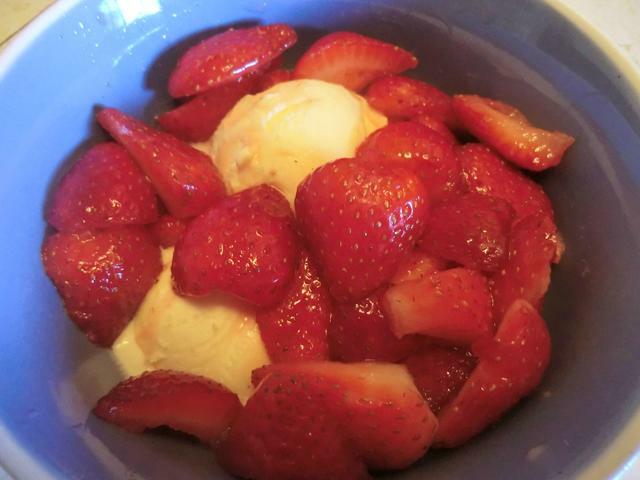 Dessert was fresh strawberries macerated in vanilla sugar and a couple of splashes of Cointreau over French Vanilla ice cream because I was too tired to make anything more ambitious. The turkey wings were marinated and roasted. 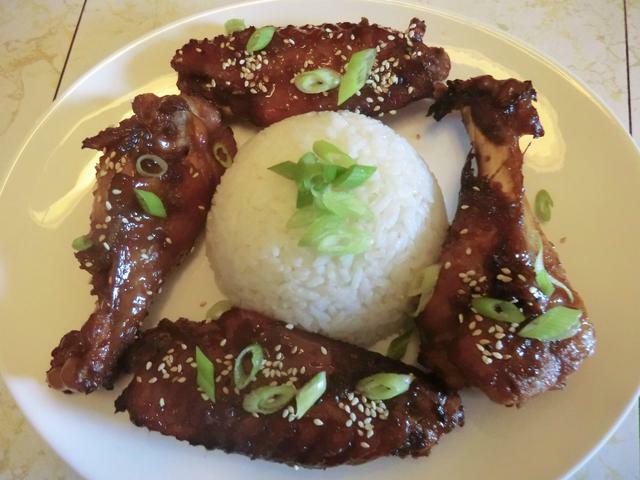 The result was Asian Sticky Turkey Wings. The legs were jointed and braised in a combination of Mexican flavours for Turkey Tinga. 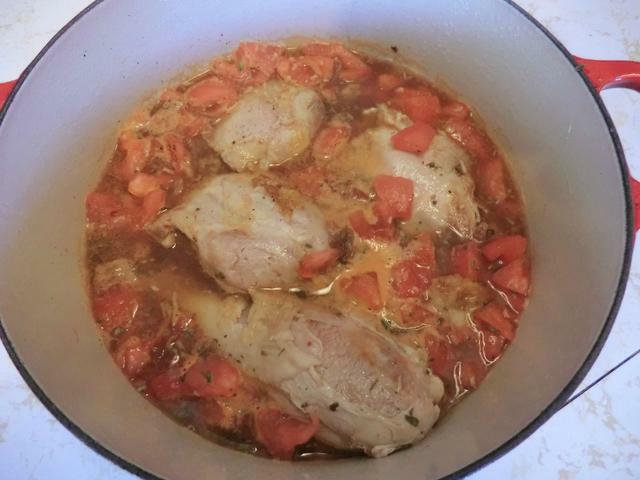 Sorry, no pictures of the shredded meat and sauce before it was frozen away … just the pre-braise mixture. The wings look delicious! Love the enamel bowl. Thank you. The wings were great, just used the same recipe I’ve used for chicken wings and drumsticks in the past. The bowl is GREAT. You can never have enough big bowls when you’re prepping vegetables etc. Thank you. Frozen utility turkeys are 99 cents a pound while fresh turkeys are $1.99 a pound. 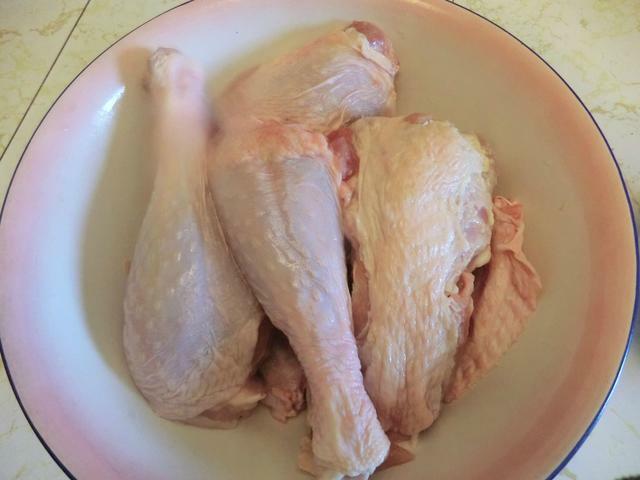 I don’t buy organic turkeys because I can’t afford to but I’m pleased with the taste and quality of these. Amazing how many delicious things one can prepare with turkey cuts. The dessert looks also great. Sometimes the simplest things are the best. You can eat well on a limited budget … though my definition of limited is quite generous compared to some people’s. I’m very fortunate on that front. Happy Thanksgiving day. These wings look beautiful. And such a great flavours.